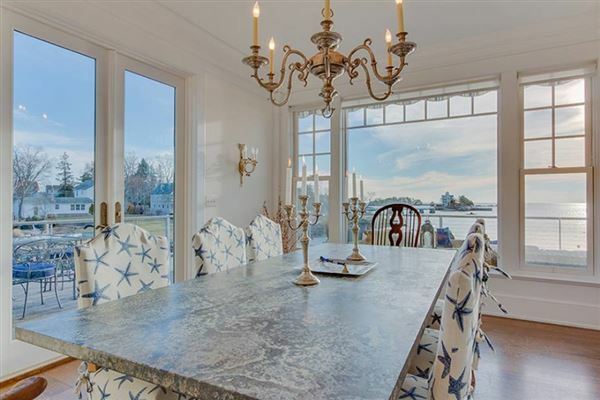 Summer is on its way and luxury meets the sea in at this four-bedroom waterfront home in Connecticut with panoramic views of the Thimble Islands. 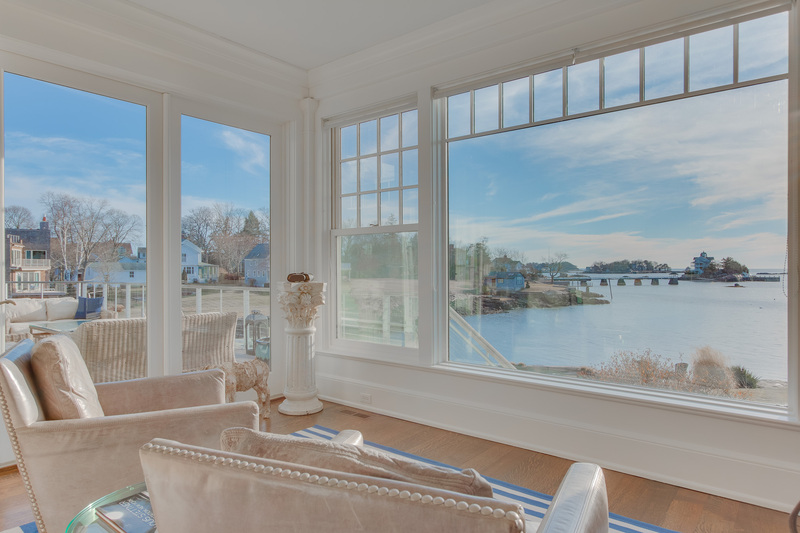 This home embraces it’s surrounding and is the epitome of seaside elegance. The interior is caressed with charm and character. Walls of windows bring in the light of illuminating ocean sunrises and by evening the living area is filled with picturesque evening sunsets. Continuing throughout the living space your senses are awarded with all the expected modern conveniences that are only fitting to home of such grandiose splendor. 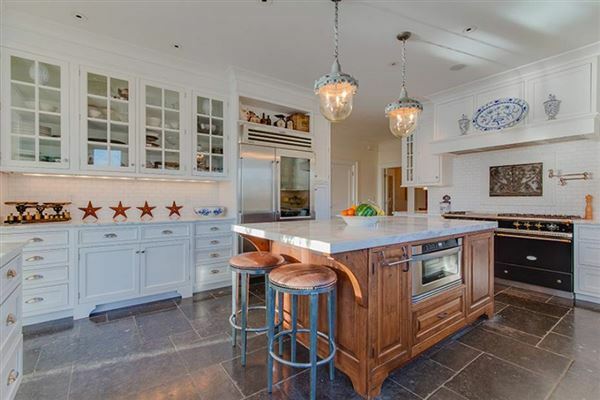 The Kitchen is state of the art and features a French LaCanche Stove with center Island and subzero refrigerator. With 5000 plus square feet of interior space your lifestyle choices are endless. The master suite is amazing – accentuated by cathedral ceilings and adorned with high end amenities that include a spacious bath, steam shower and Jacuzzi. 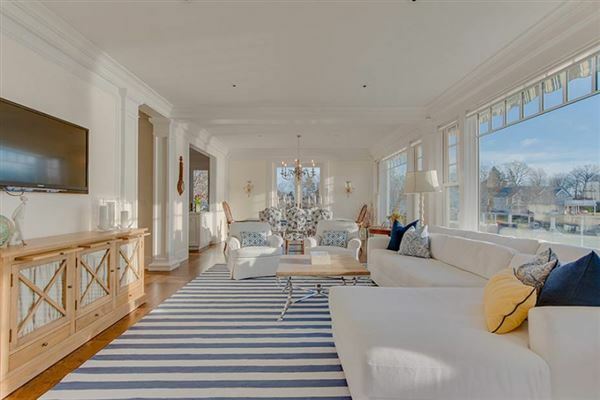 The fireplace and large dining area adds to the overall ambiance of this seaside home. 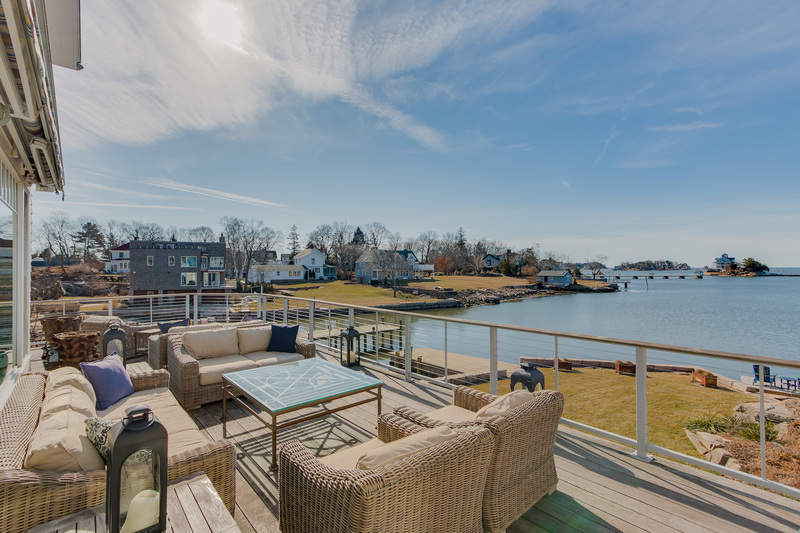 Wrap around decks take on spectacular water views. 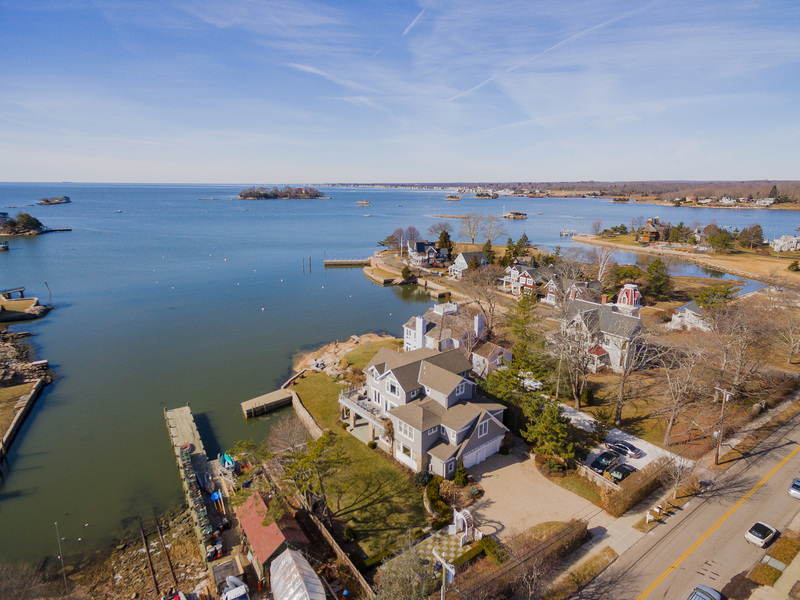 This summer paradise is listed for $2.985 million with William Raveis Real Estate and is showcased by Luxury Portfolio.